It’s Autumn, Ines’s favorite season! 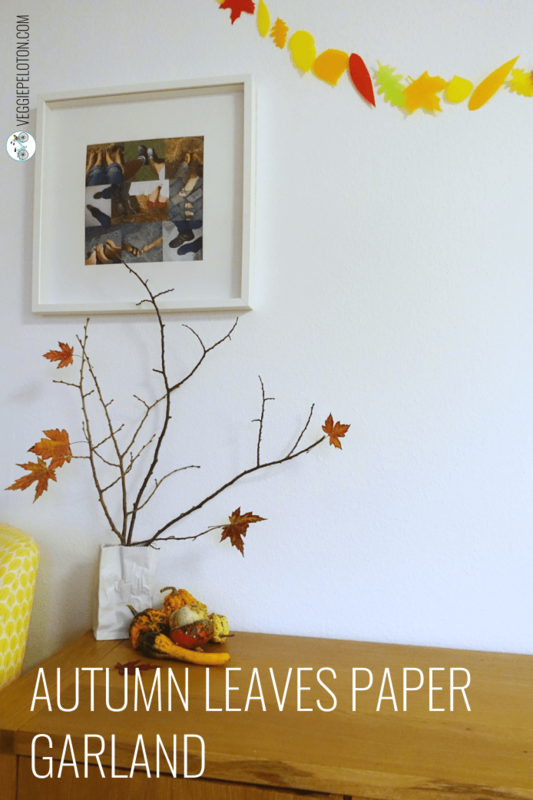 The colors of the leaves change and have inspired us to make a paper garland with autumn colored leaves. 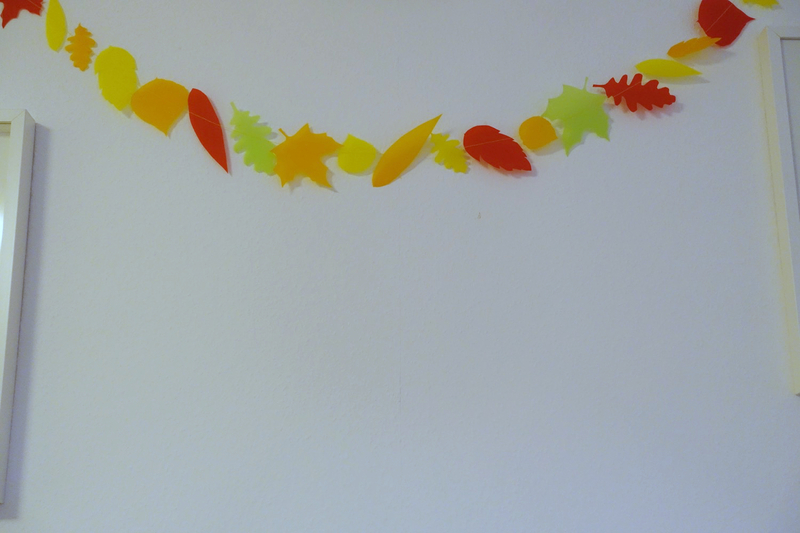 To do so, we have cut different shapes of leaves in orange, yellow, red and some in green transparent paper (you can find the paper we used here. We advice to use paper with at least 90 g/m2). We have sewn them together with a yellow thread one after the other, changing a bit their orientation. Other then leaves with amazing colors in Autumn time, we also love going to the Kürbismarkt. It is an event that takes place once a year in our city where they sell lots of pumpkins: for decoration (by the way, that’s where we bought the ones shown in the picture above), for Halloween, to eat… Although its quite a small event we always go there because pumpkins are less expensive and they also have huge pumpkins our son loves to watch. This year we could even see them being transported using a mechanical shovel which is something all kids love to watch!